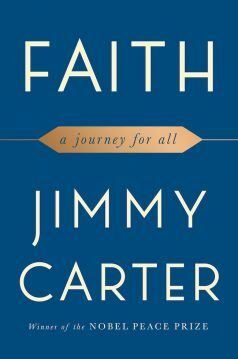 Faith: A Journey for All By Jimmy Carter Simon & Schuster, 2018 $25.99, 179 pp. Former President Jimmy Carter has written 30 books on a variety of subjects. 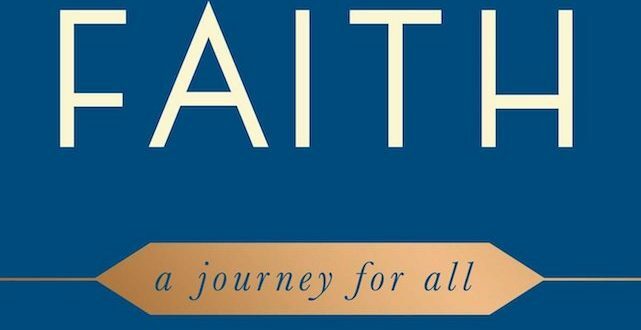 This latest volume, “Faith: A Journey For All,” offers a readable overview of his beliefs and opinions about religion and other topics. Like many people, Carter struggles with questions of faith. He acknowledges “periods of doubt” but he prays daily and says he feels God’s love. Regarding the faith vs. good works debate, Carter comes down in the middle, saying both are essential. For decades he has led a Bible study group, while devoting countless hours to charitable work, such as Habitat for Humanity. He and his wife, Rosalynn, work with Habitat to build houses for the poor. While he was president in the late 1970s, Carter feared the possibility of a nuclear war with the Soviet Union. He says fear affected nearly every decision he made as president. He writes with shame about the bellicose U.S. role in foreign affairs. Since World War II the United States has taken military action against numerous other nations. The death toll is a staggering 10 million people, including countless civilians. When Carter learned that he had cancer in his liver and brain, it deepened his faith. At age 93, he says that his “physical strength and endurance are steadily declining.” A few family members, including his father and three siblings, already have died of cancer. To promote good works around the world, the former president founded The Carter Center, based in Atlanta. He was awarded the Nobel Peace Prize in 2002 in recognition of his many accomplishments. Carter addresses numerous social and political issues that should trouble people of all faiths – such as widespread hunger in the Third World, gun violence, racism and discrimination against women. His statistics are not new, but they are compelling, including the trillions of dollars spent by the United States on wars in Afghanistan and Iraq. Many readers doubtless are familiar with Carter’s accomplishments, but this short book offers a useful overview of his deep faith and beliefs. Bill Williams is a freelance writer in Connecticut, and a former editorial writer for The Hartford Courant. He is a member of the National Book Critics Circle. He hosts the Greater Hartford Sangha, a local meditation group. He can be reached at billwaw@comcast.net.